Whether it’s an executive vehicle, stretch limousine or other types of luxury car that you want, we can make it accessible for you, anytime. We strive to create a most memorable experience for the most special moment of your life. That’s because we know how important it is for you to arrive at your event in great comfort and style. That’s our guarantee to you. Hence, we provide professional and caring services to give you totally safe, luxurious and hassle-free transportation services from day trips to night outs. Exclusive Limousines provide only the most prestigious brands of luxury vehicles that create a statement of elegance, sophistication and style. Your special day deserves awesome luxury. With our customised packages, you can definitely choose a luxury car that suits your needs and budget. So what are you waiting for? Call us today. Kick off your special event with style and luxury! Our magnificently-appointed H2 Hummer limousines seat up to 18 passengers, ensuring that there’s plenty of room for large formal groups and wedding parties? no more squashed dresses! You’ll travel in sophisticated style and comfort with nothing to worry about. Our professional, friendly uniformed chauffeurs act as the designated driver for your group, allowing you to let your hair down with friends and loved ones. Impress clients or reward employees through tailored corporate or PR events. Our corporate limousine advertising packages allow you to brand a vehicle with your company logo, creating a lasting brand impact. Looking for something to make a day trip a bit more special? Not only do our stretch limos add a touch of class, we can also plan your trip? inclusive of tickets? and arrange catering. 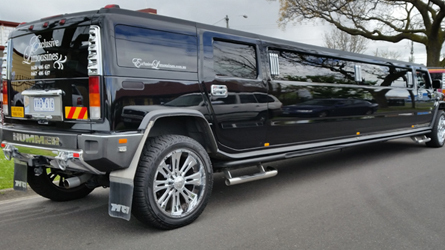 Since its inception in 2007, Exclusive Limousines has been offering luxury limo hire service to all metropolitan and regional areas of Melbourne. We offer a variety of limo choices, from stretch limousines, Chrysler Limo, hummer limos that let you travel in style. All our vehicles come equipped with top of the line amenities that allow you to experience the VIP treatment for yourself. 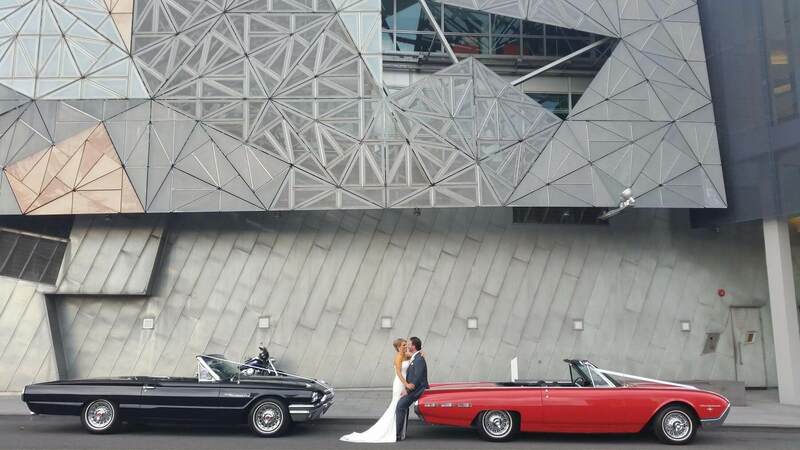 We are driven to perfect your day by providing the quality of service that you anticipate from a leading limo hire Melbourne company. Our fleets of vehicles shine and glitter from the inside out. They are clean and well maintained, and you can be assured of arriving at your destination safely, timely and elegantly. 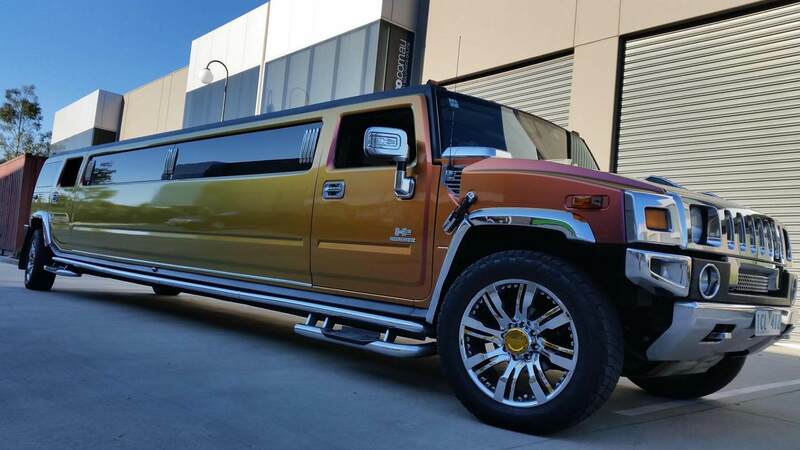 When you choose our limousine hire Melbourne, you can avail yourself of flat screen, CD players, DVD players, great sound system, comfortable lounge style leather seating, disco ceiling & floor, fiber optic lighting, air conditioning, a full-bar with beverages, Bluetooth accessibility and more. Explore our fleet options and reserve a vehicle that can accommodate your needs! 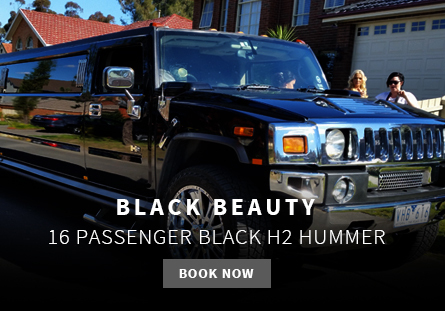 Our quality and luxury hummer hire services available for a range of communal, formal and personal occasions such as weddings, bucks/hens nights, airport transfers, wineries, kids parties, birthdays, anniversaries, school formals, debutante balls and more. So, if you are looking for the best limo hire company serving Dandenong, Geelong, Frankston, Mornington Peninsula and other nearby areas in Melbourne, feel free to call Exclusive Limousines at 0428 486 637 for limo hire price quote. Operating since 2007, our fleet includes Limos, luxury transport around metropolitan and regional areas of Melbourne. 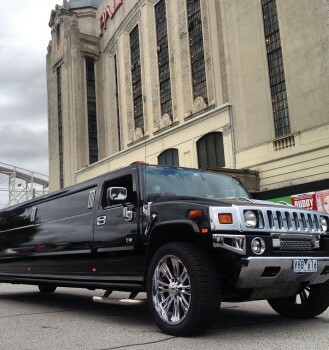 The stretch Hummer Limousine is able to be booked throughout all Victorian Regions. Available for weddings, formals and parties, this Hummer stands out in the crowd. Provide customers luxurious transport and customer service at affordable prices. Provide red carpet experience no matter what the budget. 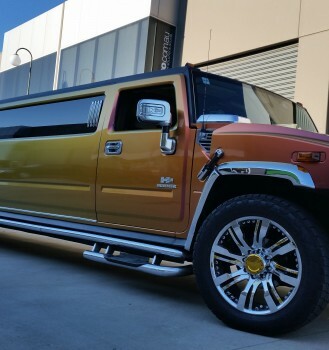 Why Settle for Cramped Space When You Can Have the Luxury of a 18 Passenger Sunset Jewel Hummer Limo for Hire? 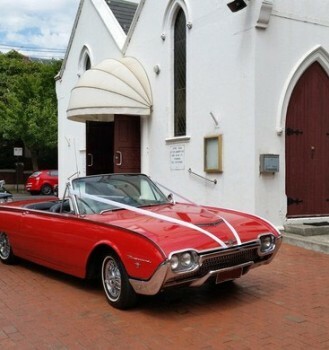 At Last You Can Experience Historic Elegance and Class With The 1962 Ford Thunderbird Roadster for Hire! 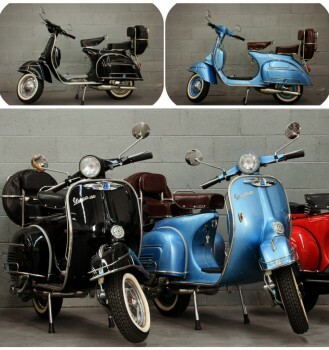 Now You Can Enjoy a Touch of Vintage Style Wedding With The Classic Vespa Bikes! 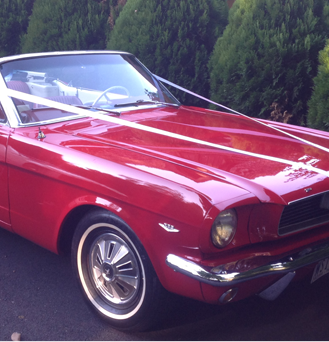 Wedding limo for hire – Uncover your choice! Wedding is one of the most important events in everyone’s life. So, people want to make it the most extravagant episode. 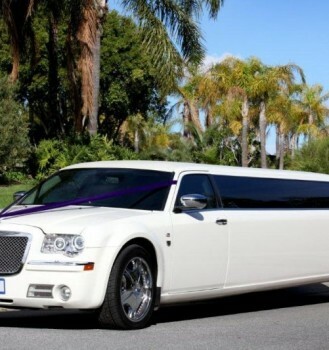 A luxurious wedding limo for hire does a great job in adding charm, style and majestic feel in a wedding. 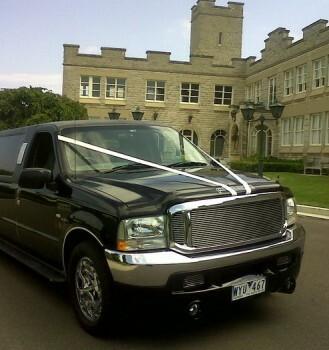 Both the bride and groom can arrive at the wedding venue in style in a limousine. This luxurious vehicle can also be used to transport guests from the hotels to the wedding venue and back to the hotel. But, what type of limousine is ideal for your wedding? Not sure? Let’s explore a few variants of limousines so that you can easily make a wise decision. Exemplifying elegance, comfort, and style, Lincoln stretch limousine is the most conspicuous mode of luxury transportation. Be it your engagement party, wedding or reception, you will enjoy a luxurious, comfortable ride to your destination in a Lincoln limousine. This wedding limo for hire is perfect for transporting a large group of people and still getting to entertain them. It provides a perfect blend of comfort and amusement, so you can have the party on the move. If you are looking for that eternal and elegant class, you can never go wrong with Hyperstretch F250. 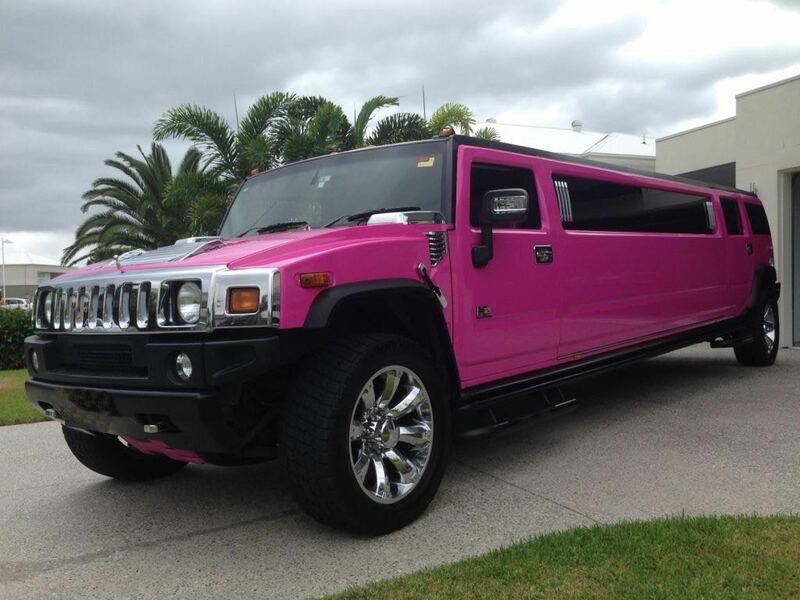 If you are looking for a hummer hire Melbourne and want to grab the attention of all your guests, why not go for the hot pink stretch hummer hire? With the dazzling laser, strobe lights, disco floor and top-of-the-line surround system, you can set an exotic atmosphere inside the wedding pink limo. 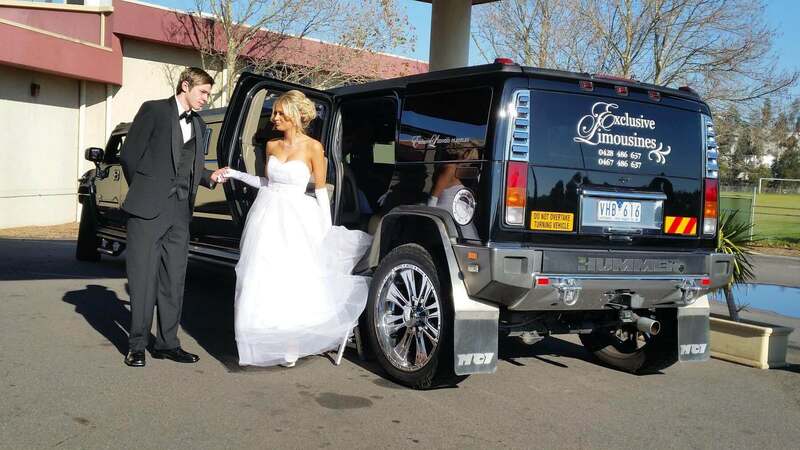 Your wedding will be much more beautiful and memorable as you arrive at the destination in a sunset jewel hummer. Jam-packed with state of the art features, this vehicle looks exceedingly cool from the outside, making it a perfect choice for intimate gatherings. You can rest assured that you will be the envy of all your pals and relatives by traveling in this hummer. 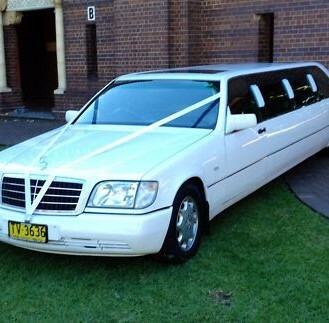 Here at Exclusive Limousines, we have been providing luxury transportation solutions to our customers across Melbourne. All our limousines are well-maintained and can make your occasion even more fabulous. So, what are you waiting for? 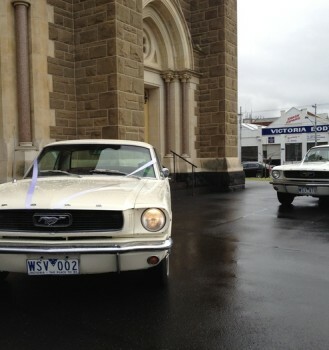 Call 0428 486 637 and book your wedding limo today! wedding, or merely going for a trip. It doesn’t matter. 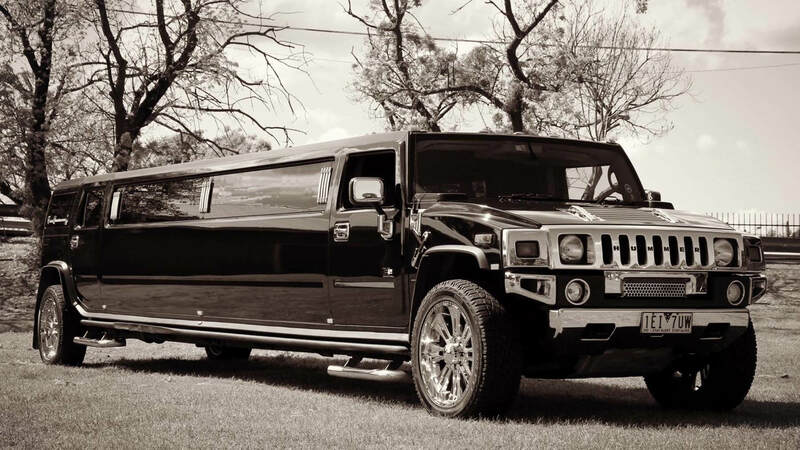 Being informed on the ins and outs of Hummer limo services is the key to having a safe and satisfying ride. For a Pink Hummer Hire, we recommend the following tips to guide you before hiring a Hummer limo service provider. 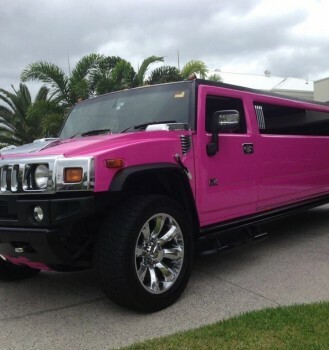 Don’t just go for any pink Hummer limousine provider! Choose a reputable, experienced company with rave references. The company should be able to demonstrate that it has successfully operated over a long period of time and has a concrete reputation for safety and quality. A good pink Hummer limo operator should more than eagerly provide proof of a valid, current insurance coverage for their fleet of vehicles. 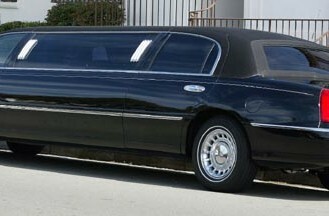 Some policies used by some limo operators such as personal auto policy do not cover the clients. We offer great services to our clients! Example, limo hire agency provides comprehensive insurance covering us, clients and even other third parties, in the event of an accident. 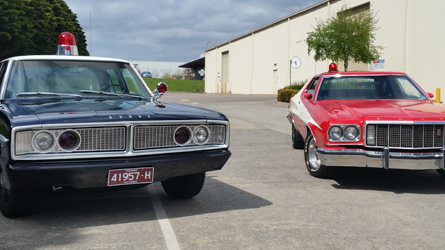 You might have hired a limousine to take you across states, for example from Victoria to New South Wales. Be sure to check with the state for regulations and compliance. If you are not careful, the vehicle could be stopped and impounded in some states. That is if found to have flouted some of the regulations. You might have found the right vehicle. However, without a professional chauffeur, your event may not be as successful as you had hoped. A recklessly driving chauffeur, for example, can be distressing to you and your party, leaving you wishing you had taken a different service provider. Limo agencies place high value on the caliber of our chauffeur, therefore guaranteeing you a memorable ride in our limousines. If you have a special occasion such as a prom, wedding or birthday, you require personalized attention to your specific requirements. Most pink Hummer limousine service providers require advance payment and reservation for clients with very specific requirements. If that is the case, insist on a written contract that clearly states the details of your reservation and the terms and conditions. Alternatively, talk to Pink Hummer for a guarantee that your specific Hummer limousine requirements shall be met. We believe in tailor-made services, so we are just the right company for you who demands much more than the ordinary. Understand that you have every right to top notch limousine services you have paid for. Some companies may cancel the contract before delivery of the service. Find out about the company’s cancellation policy and get a copy in writing. This is so that you are not short-changed when the worst comes to the worst. Pink Hummer Hire believes in respecting the rights of our clients and ourselves, therefore, we do everything to ensure we honor the contract.